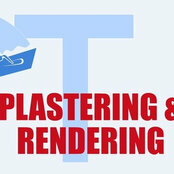 CT Plastering & Rendering Services has been providing domestic plastering services to homes in Chester Le Street for over 10 years. With experienced and highly trained workmen, you can trust us to provide you with high quality services. All our services are available at very competitive prices and we most areas in County Durham. If you would like to speak to our plasterer in Chester Le Street about an upcoming project please contact our team today.